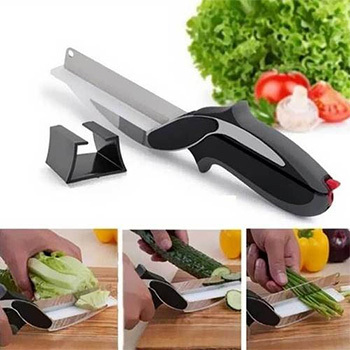 Forget reaching for a chopping board to cut your food. The Clever Cutter features a razor-sharp stainless steel knife on one end and a chopping board on the other, letting you chop through food in seconds in the air. The high-pressure handles allows it to cut through any food with ease, so that you never need another knife again.